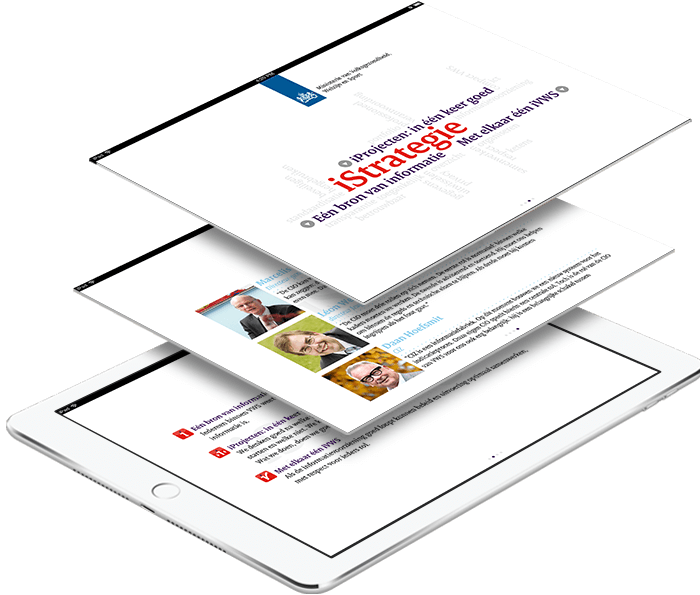 DTT developed the informative 'iStrategy' app for the Dutch Ministry of Health, Welfare and Sport. The application provides information about the new IT program policy in an attractive and dynamic way. The app is aimed to arouse enthusiasm and positive thinking about the new iStrategy. The main target audience are employees, top officials and other interested parties. The app also serves as the perfect reference guide to the policy. With the help of DTT, the Ministry wants to set the tone for iStrategy in the Hague. The app is available in the App Store for iPhone and iPad. To know more about Ministry of Health, Welfare and Sport, please visit their website. 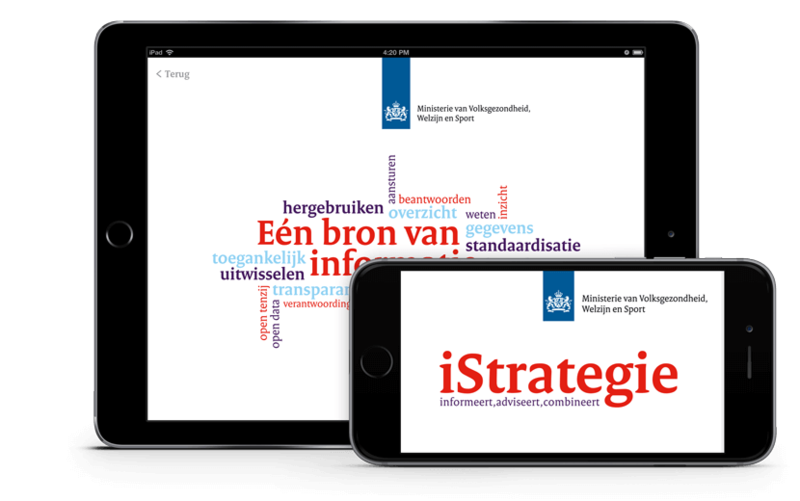 We are very satisfied with the iStrategy app that DTT has developed for the Ministry of HWS. During our collaboration with DTT, we were pleased by their active thinking along, professional advice and fast and clear communication. Things as working with multiple parties, time pressure, and last minute changes changes weren't a problem for DTT.